Favorite Hippies is the brainchild of Örjan Mäki, one of the most renowned roots guitarists in Sweden. Örjan, who originates from the very north of Sweden, built his reputation throughout northern Scandinavia by playing the lead guitar in the now legendary Willy Clay Band, and working as a touring musician for artists such as Will Kimbrough, Chip Taylor and Doug Seegers. Formed in the year 2010, Favorite Hippies released their first record “Sidekick Stories” (Rootsy records) in 2013. When Örjan at that point relocated from northern Sweden to the countryside outside of Stockholm, a change of line-up in the band was inevitable. A regrouped Favorite Hippies recorded the second album “Love is Hard” in 2015, which was released in early 2016 on Örjans own label Örjan Mäki Music. 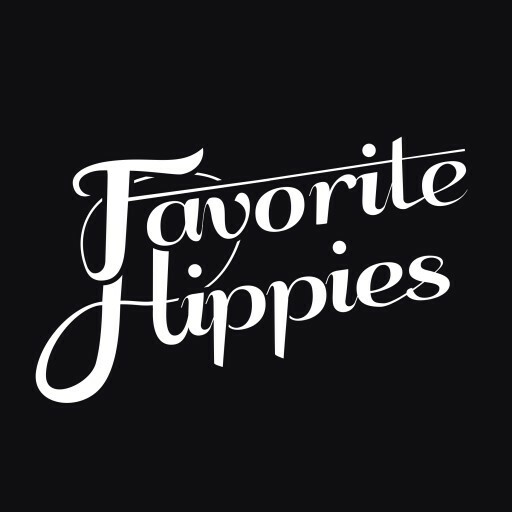 In the music of Favorite Hippies you´ll hear apparent traces of alternative country, blues, 70´s rock, and americana. While not being groundbreaking (and it is not supposed to be that either), the guitar-driven music provides a solid foundation for Örjans lyrics; Some songs are amusing tales about the life in the north, others often deal with the joys and troubles of human relations. In the end, Favorite Hippies music might not turn your world upside down, but it’ll sure make you feel good. And if you get the chance to catch them live on a stage; Just do it, you won´t regret it.